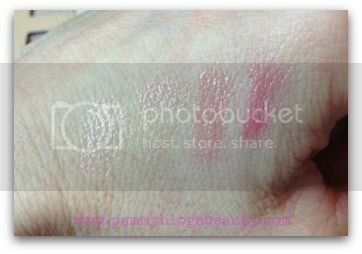 Pammy Blogs Beauty: NEW for Spring 2013: Pixi's Soft Focus Fresh Palette! 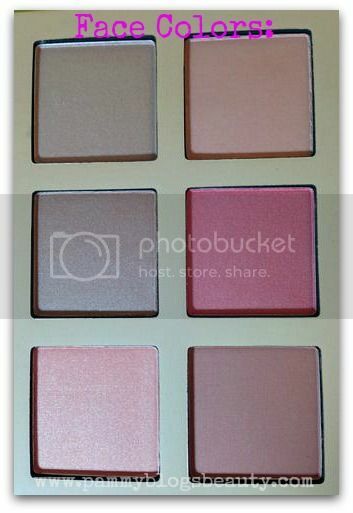 NEW for Spring 2013: Pixi's Soft Focus Fresh Palette! Ooooh! I just love this new palette from Pixi!!! 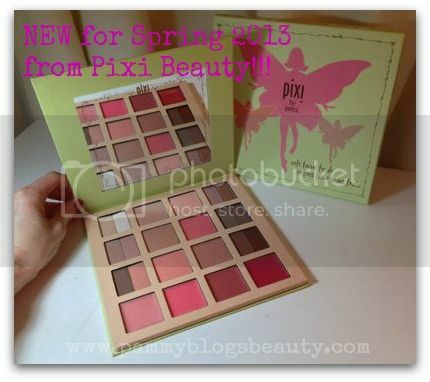 Introducing the *NEW for Spring 2013* Soft Focus Fresh palette from Pixi Beauty! As ya'll know, I have a bit of a "thing" for palettes. I am always on the hunt for the "perfect" palette. I want soft buttery shadows, a full range of shadows in wearable shades, and face powders to highlight and contour as well as give color. Well, let me tell you, this palette has all of that and then some more! :) Not only is this my favorite palette that I have tried so far for Spring 2013, but also it is one of my current favorite palettes overall! The Pixi Soft Focus Fresh palette is a complete kit for eyes, cheeks/face, and lips! The soft taupes, tans, pinks, and peaches are soft and wearable and just perfect for Spring! Actually, these are the types of beautiful shades that look flattering year round. This is a large palette that is packed with products! The palette contains 12 eye shadows, 4 lip glosses, and 6 cheek powders. The eye shadows are on the left and right side of the palette. You get a lovely range of neutrals in the full range of light to dark. The lighter shades are perfect for the inner eye corner and the lid as well as a brow highlight. 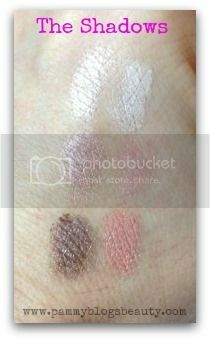 The deeper shades are rich and pigmented and make lovely crease shades and liner colors. 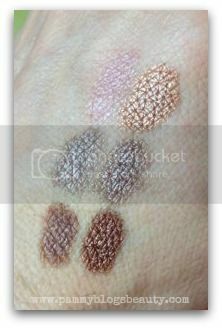 I am impressed with the soft texture of these shadows as well as the pigmentation and lasting power. It might be "just me" but it even seems that the quality and texture of these shadows is even better than those in my previous Pixi palettes (which I also love). While I really love the shadow assortment in this palette, what really makes this palette stand out is the assortment of cheek colors!!! I mean, you get 6 shades!!! 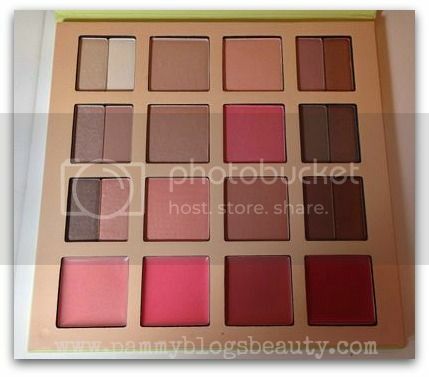 There is no question that this palette is worth it alone for the lovely cheek colors! You get a highlight shade and a bronzer shade as well as 4 cheek colors. I find that I am reaching for this palette for the cheek products even when I don't use the shadows. The shades are all subtly luminous without being overly sparkly. The texture is soft and bendable. Love, love, love!!! 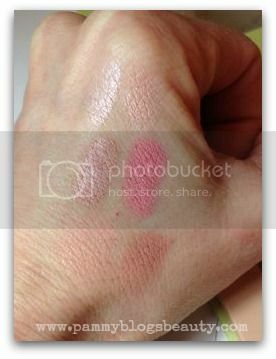 Pixi included some really lovely lip gloss shades in this palette. Typically, I prefer lipgloss in palettes to be in removable wands (so that you can take them with you to reapply throughout the day); but, I rarely see this feature in palettes. With that said, these glosses are really beautiful! They are soft and creamy and in such pretty shades. I wear the two on the left the most often. They are the perfect pink shades to top off your neutral eye looks that you create with the palette. What are you loving for Spring 2013?